The Clarius® EP Plus series of ATEX and IECEx approved explosion protected White-Light illuminators have been specifically designed for hazardous environments which require high performance night time illumination. Clarius® EP Plus illuminators are supplied in a marine grade aluminium housing with toughened polycarbonate front window and are rated for all Zone 1 and Zone 2 applications. 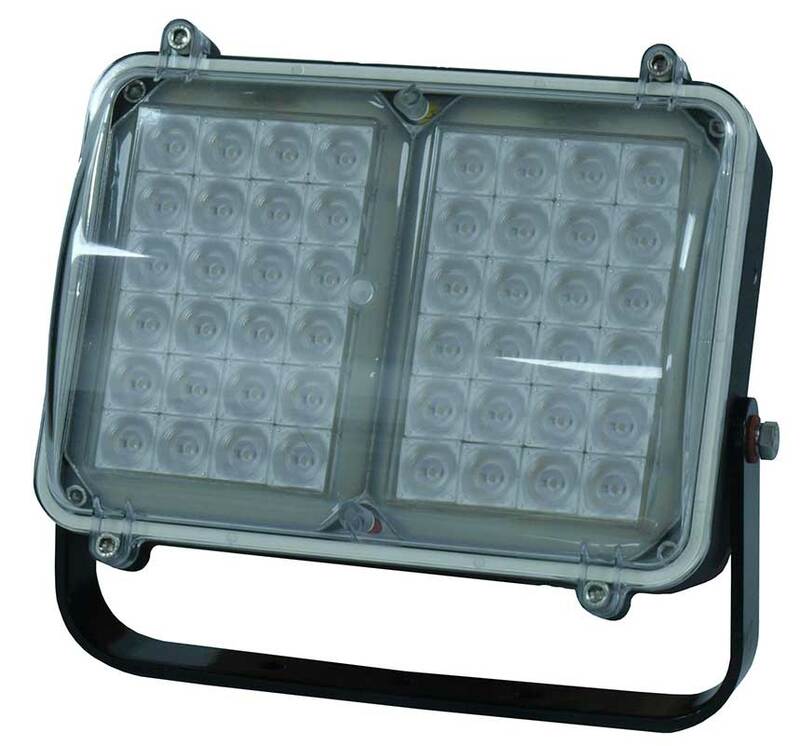 The Clarius® EP series White Light illuminators provide class leading performance, long life and ultra low maintenance. They incorporate the very latest surface mount LEDs to deliver excellent night-time pictures with improved optical output and outstanding reliability. Each unit is fitted with an integrated control circuit to carefully control LED output, delivering consistent illumination and projected working life in excess of 10 years Clarius EP illuminators are supplied with an integrated power supply and operate directly from 100-254V AC. A 24V AC/DC version is also available. The Clarius® EP series is suitable for all low light installations up to 120 metres (394ft).